This morning I spent some time catching up on marketing news while drinking a cup of tea and I stumbled across an article on Lole’s White Tour event. Being a fan of Yoga and a marketing professional, I immediately wanted to read more. Lole, an activewear brand based out of Montreal, paired up with some of the top museums around the world to demonstrate the true meaning of relationship marketing during the White Tour Event. This event brings together over 10,000 yoga lovers to museums in Barcelona, Montreal, New York, Toronto and Edmonton. Here, however,is where the typical brand messaging stops. 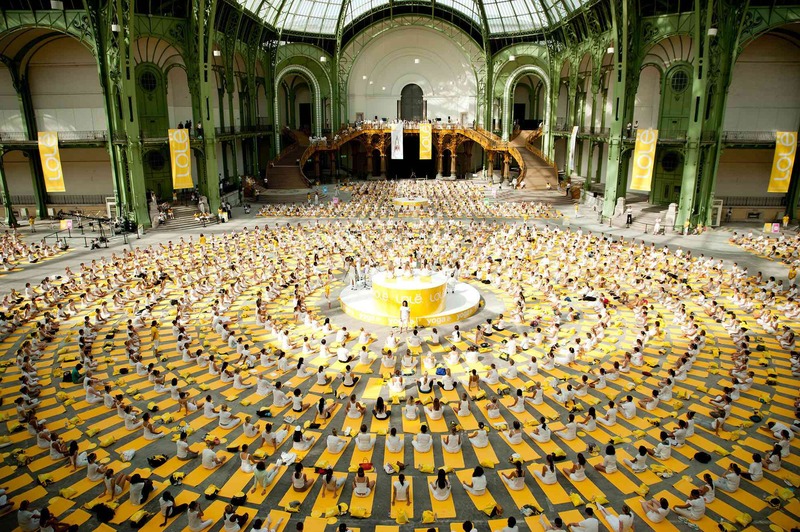 In order to create a deeper connection with the brand and the consumer, yogis were asked to wear all white to symbolize peace and were given yellow yoga mats provided by Lole. (great brand emphasize and consumer unity). If 10,000+, all white-wearing yogis weren’t enough to make a lasting impression (or a very hot room) , 100% of the proceeds will go towards wellness programs that promote an active lifestyle. Now that’s what I call smart marketing! Not only is the brand being worn by thousands of interested participants, but their efforts will make a change for better living. So many marketers are told that relationship building and connecting the consumer to the brand are key elements to deliver your message to the masses and increase sales. However, so many forget that it’s not only those involved that will establish a relationship, but those unsuspecting individuals that we help in the process. Having an active lifestyle, whether its yoga, running, walking, or swimming will have a lasting impression on our health, our body and our minds- which, when you think of it, helps to establish our own brand identity and self. Who would have thought that yoga and the power of marketing could create such a positive change? This year the event stops in Toronto on June 12- get your yoga gear ready! yeah, I’m thinking I Just might!